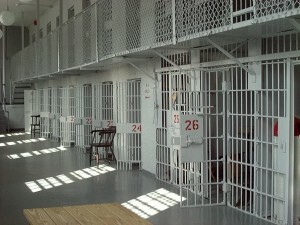 California is looking to ‘realign’ its corrections system by giving counties – rather than the state – responsibility for managing low-level, nonviolent offenders. If implemented effectively, restructuring could result in a significant change: closing women’s prisons. California is home to two of the world’s largest women’s prisons. Both of these cost $278 million a year to run. This reform therefore presents an unprecedented opportunity to rapidly reduce the number of women sent to state prison and to shutter one or both of the women’s institutions. Reducing the state’s population of female prisoners and closing down the facilities used to house them is not only fiscally prudent, it is also good public policy. Research shows that women are more likely to be victims of violent crimes than perpetrators, and four out of every 10 women behind bars have histories of being physically or sexually abused. Most of the women in California state prison are mothers, and many are single parents. Without the support these women need to successfully re-enter their communities and get off drugs, nearly 60 percent of them end up back in prison within three years. Ex-offender Susan Burton founded the organisation A New Way of Life, which helps women to permanently exit the prison system. Burton said she turned her life around through the help of a local rehabilitation centre, and not through the state prison. It will be groups and organisations like these which will work with the counties if the changes are made.